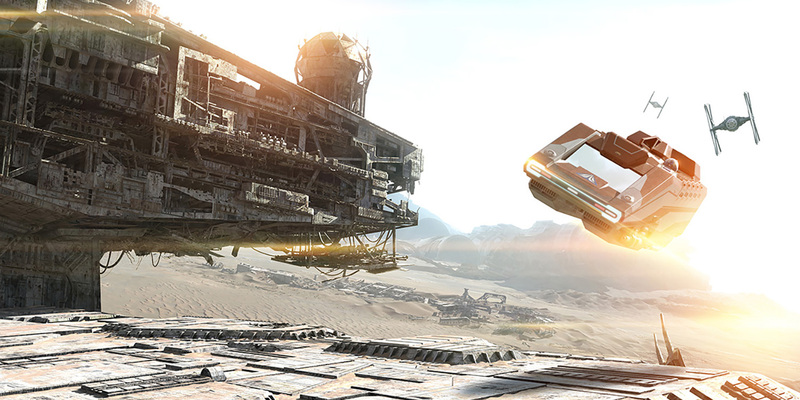 A remote desert planet located in the Western Reaches of the galaxy’s Inner Rim, Jakku was once the backdrop for the final battle between the New Republic and Empire. It is now home to thieves, outlaws and scavengers picking over the wreckage left behind. 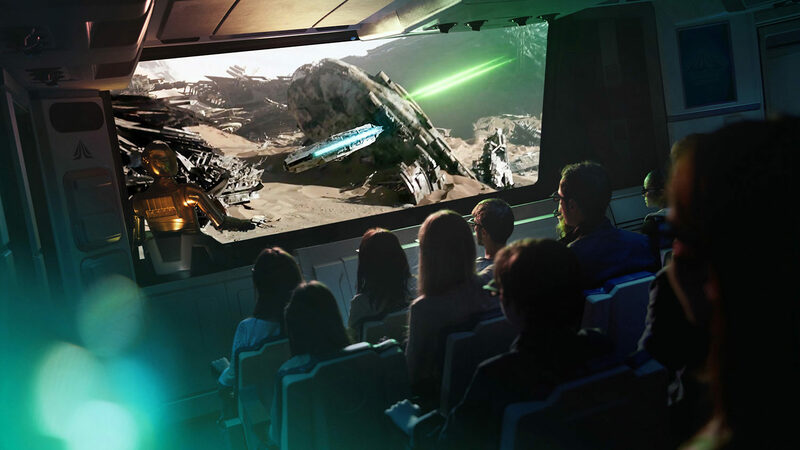 Jakku was added as a destination to Star Tours: The Adventures Continue as a tie-in to the release of Star Wars: Episode VII – The Force Awakens. It was added to Disneyland, Disney’s Hollywood Studios, and Toyko Disneyland on November 9, 2015. The sequence later launched with the opening of The Adventures Continue at Disneyland Paris on March 18, 2017. It also is the setting for Hyperspace Mountain.